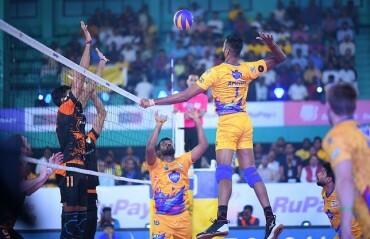 Day 12 of the RuPay Pro Volleyball League saw Calicut Heroes maintain an unbeaten run in the league stage as they defeated Ahmedabad Defenders 4-1 (15-14,11-15,15-11,15-9, 15-8). 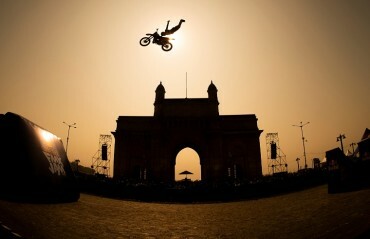 Mumbaikars witnessed for the first time ever world renowned freestyle motocross Red Bull athletes Robbie Maddison, Alexey Kolesnikov and Tom Pages along with Martin Koren, Radek Bilek & Julien Vanstippen showcase high octane biking skills at Red Bull FMX Jam at the iconic Gateway of India. 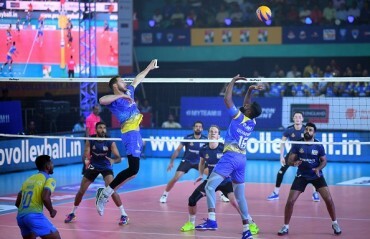 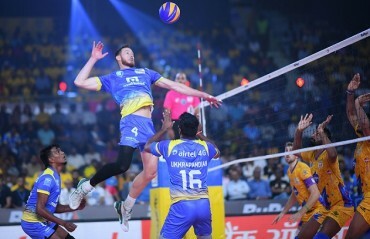 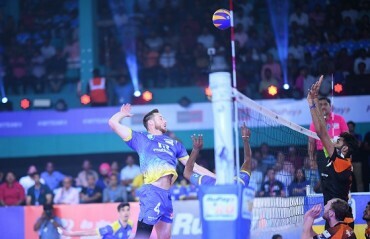 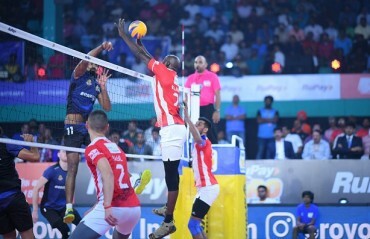 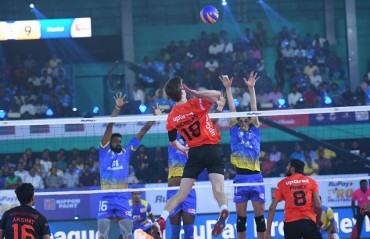 Much to the delight of Kochi volleyball fans, Kochi Blue Spikers lit up the Day 1 of the RuPay Pro Volleyball League beating U Mumba Volley 4-1. 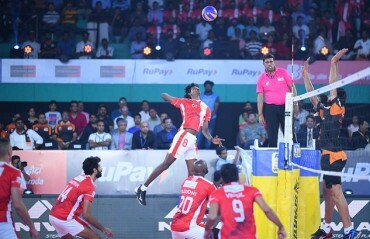 After a quick opening ceremony which featured all the six team captains and Olympics Silver Medalist badminton player PV Sindhu taking the pledge, the action on court took over the 2000+ spectators present at the Rajiv Gandhi Indoor Stadium here on Saturday.